Since the two jaws of a vice are parallel to each other the vice is ideal for holding many workpieces that have a pair of parallel sides. 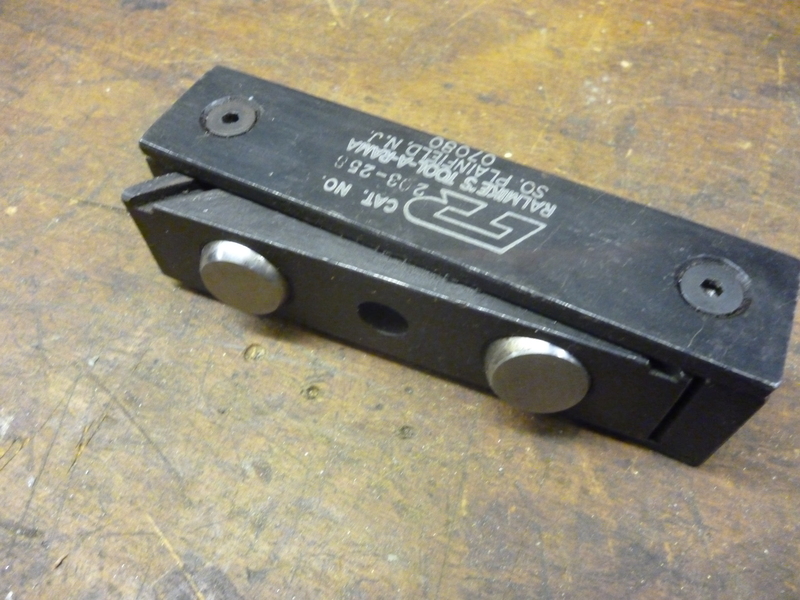 Sometimes it would be useful to be able to hold a workpiece which does not have a pair of parallel sides. Where two sides are not parallel they might be out in the z direction, the x direction or both. A thin piece of wood is placed between the workpiece and the moving jaw. Here the solution is to fit a round round between the moving jaw and the workpiece. This rod is horizontal. If the error is anything but trivial, if it is wider at the top than at the bottom there is a risk of it popping out. An error here can be fixed by device that has a side that can swivel to match the side of the workpiece. 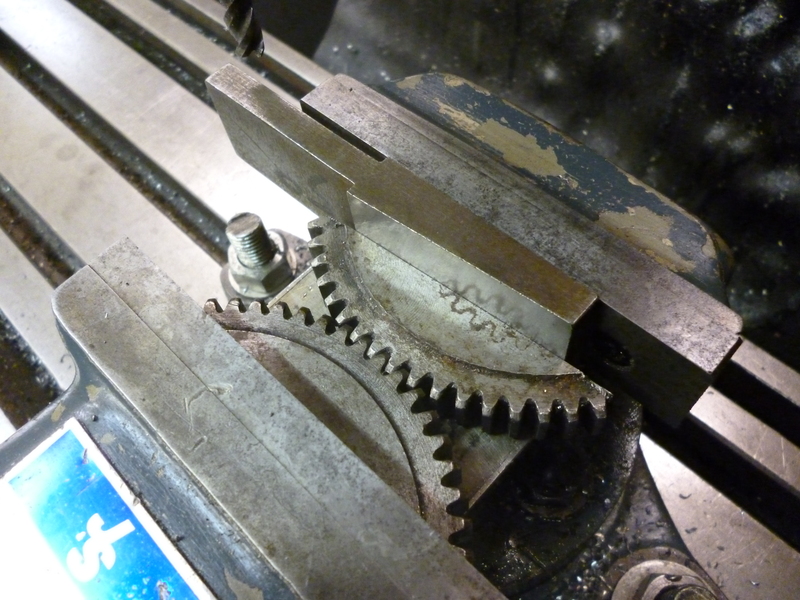 Another device is made from an old gear wheel that is cut to form two pieces that are used as shown. A gear that is of the right sort of diameter, in this case about 100mm, is big enough to make two pairs of these.